Agnihotra is the basic and fundamental form of Yajnya. Its regular practice bestows prosperity. Agnihotra spreads the vibrations of peace and love and cleanses the prana. This beneficial effect is automatically transposed to the mind giving rise to mental peace and happiness. The beneficial effect of Agnihotra is also carried to the realms of plants and animals. The beneficial effects of morning Agnihotra remain active in the atmosphere through out the day. At the time of sunset, changes take place in the radiation of cosmic energy. Many metabolic changes take place in the human body changing its psychosomatic structure. This is the time of evening Agnihotra with which we once again bestow a protective shield to the atmosphere. This is an unending ‘ Healing Cycle ‘ of Agnihotra. TIMINGS: Sunrise and Sunset are termed as circadian rhythms, they are the smallest rhythmic cycles of nature. These transitional moments cause sudden changes in the atmosphere.The practice of Agnihotra is based on these rhythms of nature. Agnihotra is performed daily at sunrise and sunset timings. Sunrise and sunset are the two most important bio-rhythms of nature. Agnihotra is ordained to be performed exactly on these vitally important transitional moments. During these moments important changes occur in the atmosphere of earth which cause vital impact on life and the environment. Agnihotra time is referred to as ‘ Transitional moment ‘ie. Sandhya in Sanskrit.. It is neither day nor night, neither light nor darkness. Vedas describe this particular period as the ‘Passage to Liberation ‘ ( Tirtha ). 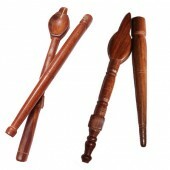 The science of Yoga and Nadi system attach importance to this transitional moment. A man follows a particular pattern of breathing from the right or left nostril during the period from sunrise to sunset and beginning with sunset to sunrise. During this period ‘ Ida ‘ and ‘ Pingala ‘, these Nadis remain active in succession. Exactly at the time of sunrise and sunset they too are in the process of transition during which short time the ‘ Sushumna ‘ nadi is active. The mind and body are in balance during this time band. 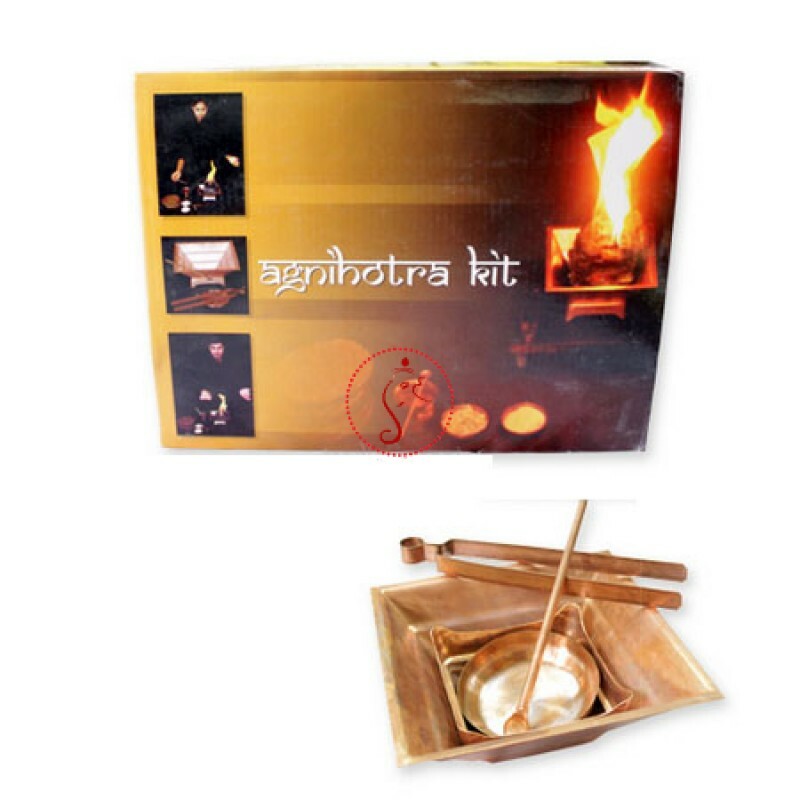 Performance of Agnihotra synchronizing with this time strengthens the beneficial effects on the mind and the body. The pyramid shaped copper pot receives, generates and decentralizes special healing and purifying energy in the ecosphere. 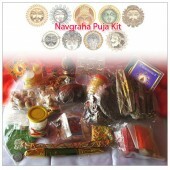 Its effectiveness reaches peak levels at sunrise and sunset, with which the process of Agnihotra coincides. 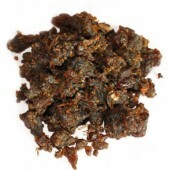 COW DUNG CAKES: Fire for Agnihotra is to be prepared out of dried cow dung cakes. Cow here means the cow family. Thus the dried dung of calves and bulls may also be used. 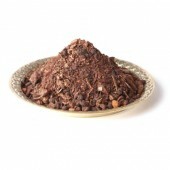 Cow dung is regarded as highly medicinal and healing substance by Ayurveda and other alternative healing systems. COW'S PURE GHEE AND UNBROKEN RICE: Only cows pure ghee is used for Agnihotrs. Medicinal properties of cow's ghee have been known since thousands of years. According to Ayurveda, cows ghee is the best amongst the entire range of clarified butters. It is tonic, cardiac stimulant and invigorating. 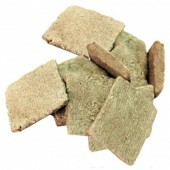 It is antibilious, improves memory and mental faculties. When cow's ghee is offered in Agnihotra, its healing properties are injected in the atmosphere. Contents in Kit: Copper Pot,Copper Dish,Copper Spoon,Copper Folk,Cow Dung Cake,Cow Pure Ghee,Gugal, Loban,Rice grains. Copper Dish: 2.75 inches dia.